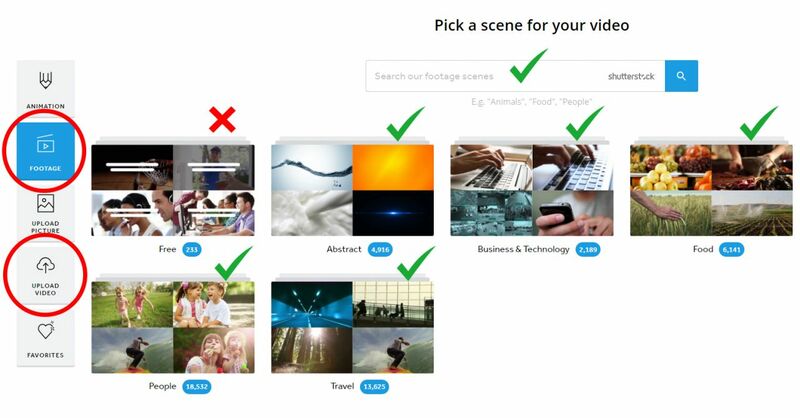 When choosing a new scene for your video, select either the Footage or the Upload Video tab. 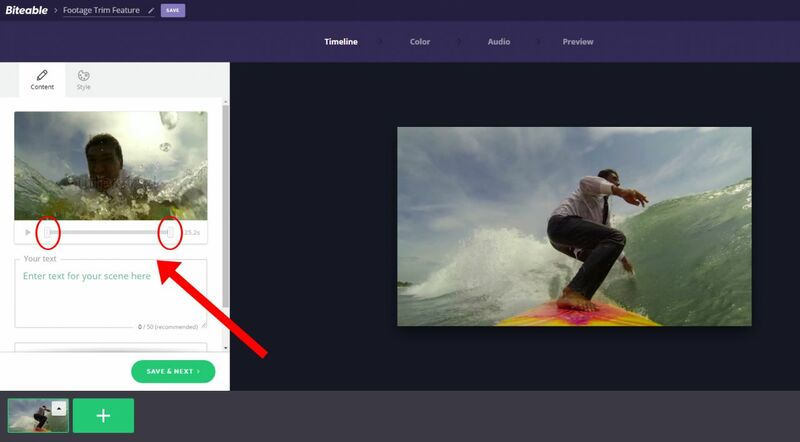 Then, either upload your own footage, or search for any piece of stock footage you like (WARNING: feature not available with scenes marked “Free,” as those scenes have fixed lengths). 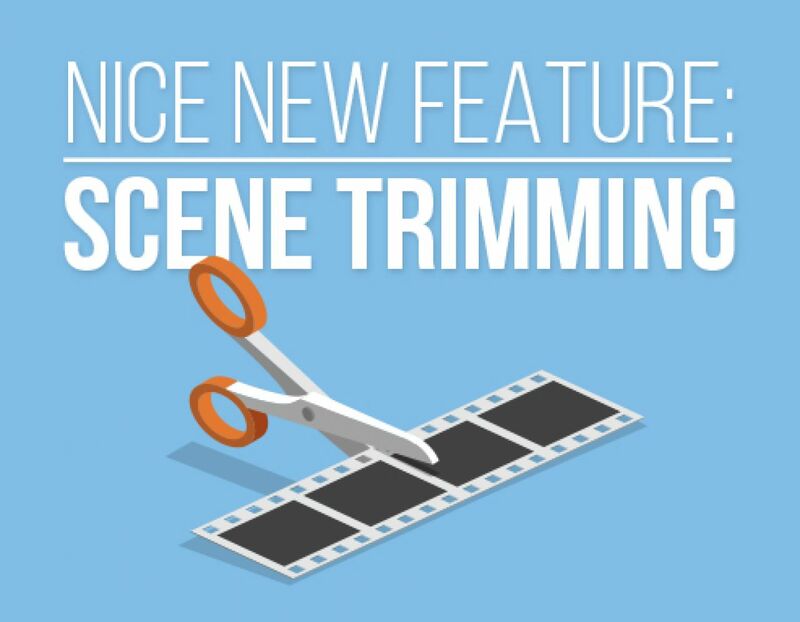 After you’ve selected or uploaded your footage, you’ll see the scene trimming controls on the left of your screen. The minimum length of your trim is 2.5 seconds, and the maximum is 30 (although you can still upload or choose longer footage). You can trim the footage by moving the handles at either end of the preview timeline, and you can preview what you’ve done by hitting Play. Once you’re happy, simply continue to make your awesome Biteable video as usual. Don’t forget to have fun, and if you’ve got any questions or suggestions, please hit us up on the Support channel at the top right of your screen when you’re making your video.